The following driver broke a lap record at the 2018 May Club Day. Apologies for the late announcement regarding this. There is a working bee this Saturday November 17 2018 from 9 am – 12 pm. Please come along and assist your club. The club will also be doing Observed Licence Tests on the day, so if you want to race at the Class Titles, please email licencesecretary@ogkrc.com.au to book your spot. The next Oakleigh Go Kart Racing Club General Meeting will be on Tuesday November 13 2018. This is a forum where you as Members can come and ask questions of the committee, ask questions about the Club and listen what is happening around your Club. If you have anything you would like discussed at the November General Meeting please let Vern Kranz (secretary@ogkrc.com.au) know and he will have it included in the Agenda. There will be an opportunity to bring up other items on the night when we get to the General Business section of the meeting, but if you know of something please let us know in advance. The following drivers recently broke lap records at the 2018 September Club Day. The September Club Day is on Sunday September 30 2018. Please Pre-Enter via the Karting Australia CMS site. Check the Race Entry page for more details. Our monthly Club Working Bees are held on the Saturday morning of the weekend before our Club Days. That means that the September Working Bee will be held on Saturday September 22 2018 from 9 am until 12 pm. The track will be closed during this time. Please come along and help out as there is always job that need doing. 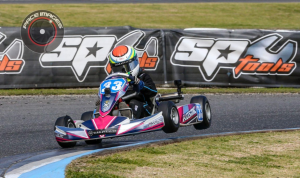 As outlined in the Oakleigh Go Kart Racing Club Statement of Purpose (Constitution) Rule 30 (1), the Oakleigh Go Kart Racing Club will hold its Annual General Meeting (AGM) at 7.30 pm on Tuesday September 18 2018 in the club rooms. 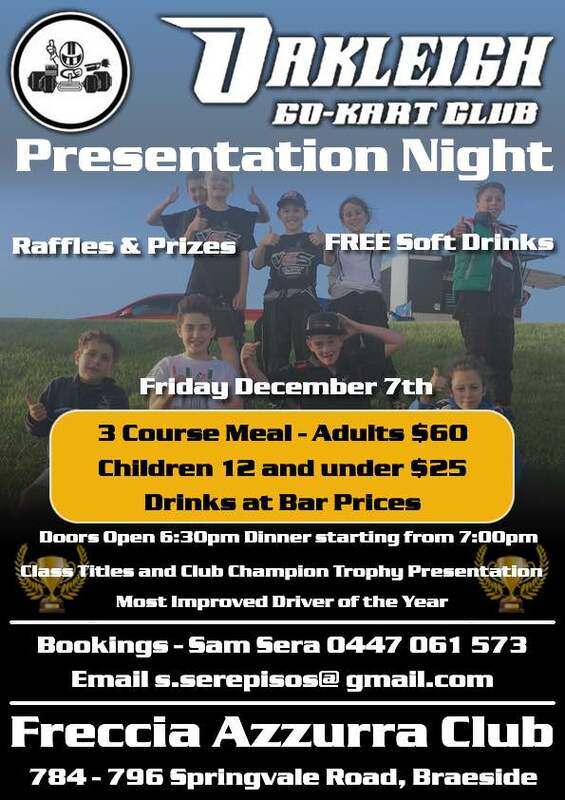 As always “nibbles” and drinks at bar prices will be available on the night. Over the years Oakleigh Go Kart Racing Club (OGKRC) has been very fortunate to be able to put one of our members names on our National Championship winners board. Once again in 2018, the club has been lucky enough to add a new name, Lewis Francis. 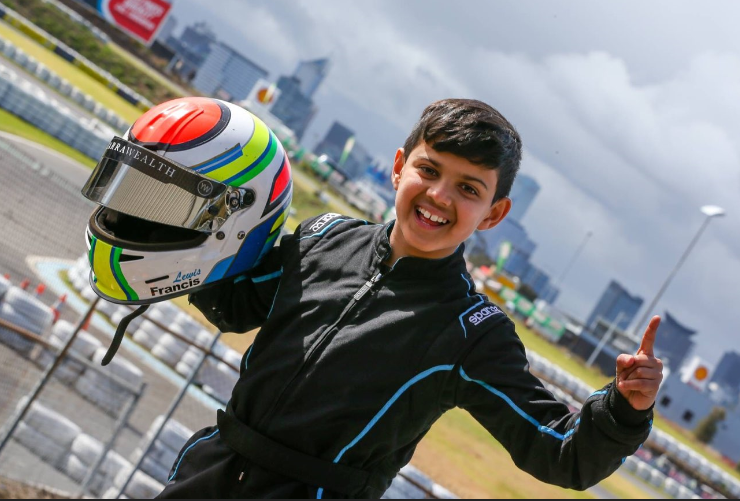 The Club would like to congratulate Lewis on becoming the 2018 Cadet 9 Australian Karting Champion. 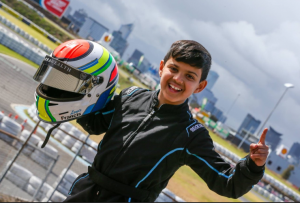 The Club would also like to congratulate James Sera in being Runner Up in the KA3 Senior Australian Karting Championship, and to congratulate all members on their results who competed in the 2018 Australian Kart Championship. The August Club Day is on Saturday 25th August 2018. It is a Day/Night Meeting with at least the finals under lights.